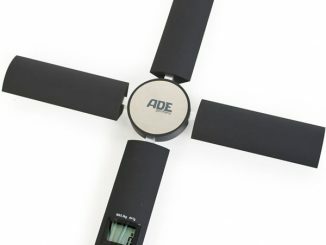 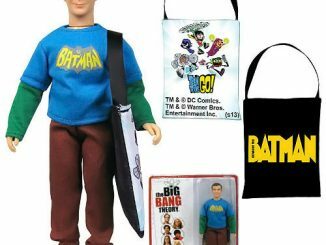 These days, many companies make Comic-Con exclusive products to sell to those attending the convention. 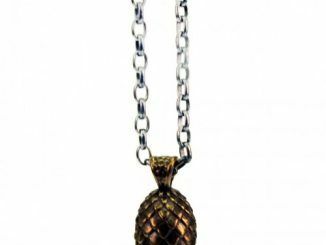 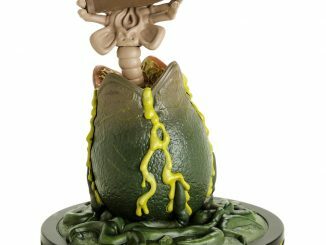 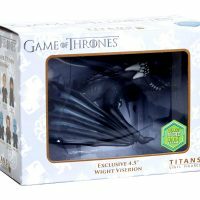 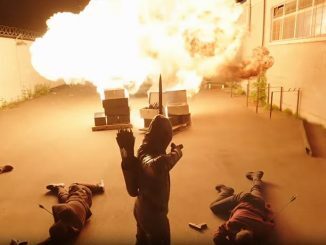 Occasionally, you have the opportunity to buy some of these products outside of the convention, such as with the Alien Facehugger Free Hugs Q-Fig or this Game Of Thrones Wight Viserion Titans Figure Comic-Con Exclusive. 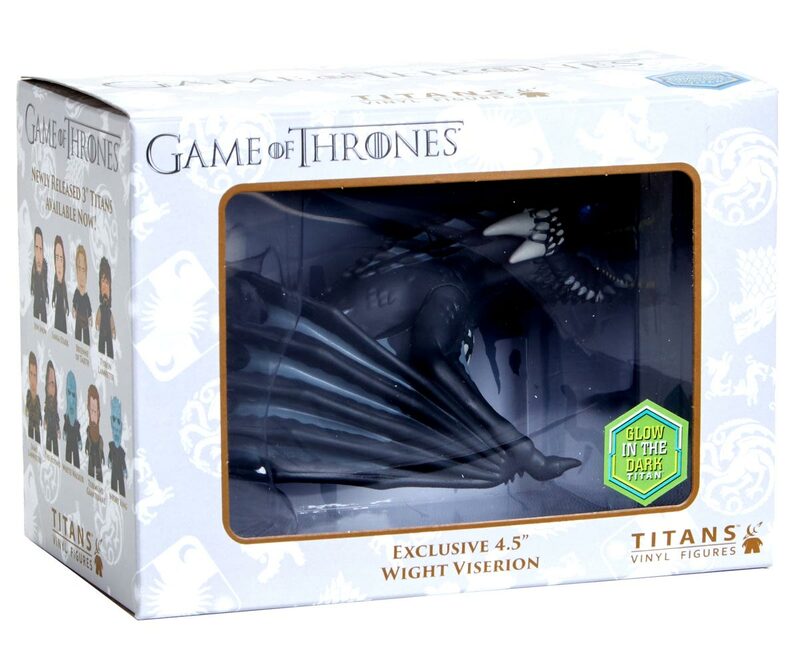 Titan Entertainment made this special Wight Viserion for San Diego Comic-Con 2018 to sell on the convention floor. 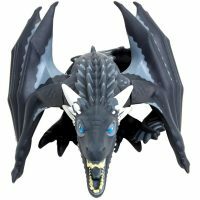 What sets it apart from their other Wight Viserion Titan is that this one has icy blue eyes. 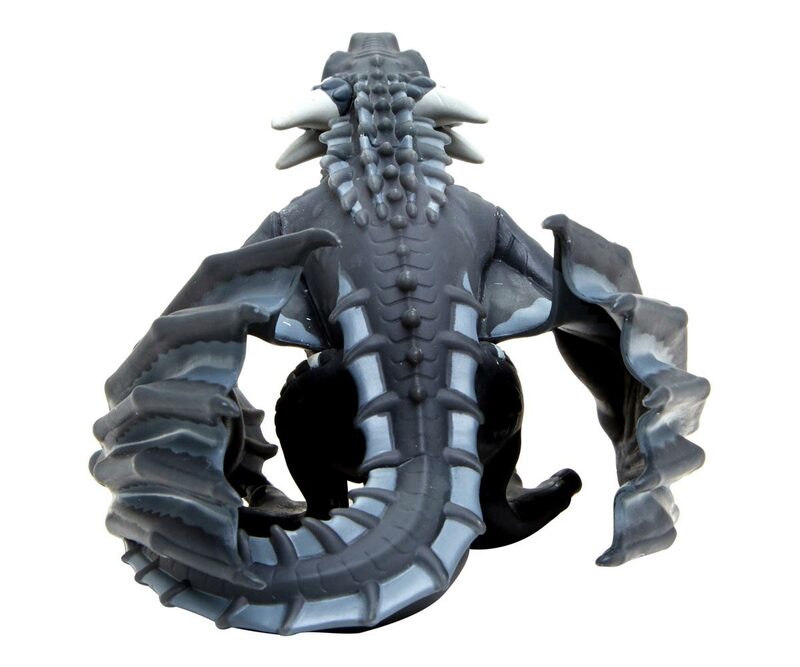 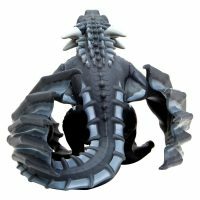 This 4.5″ vinyl figure has impressive details, with deep black scales, glow in the dark accents, and black nails. 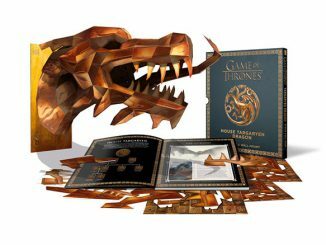 This Game of Thrones figure is part of an exclusive line from San Diego Comic-Con 2018. 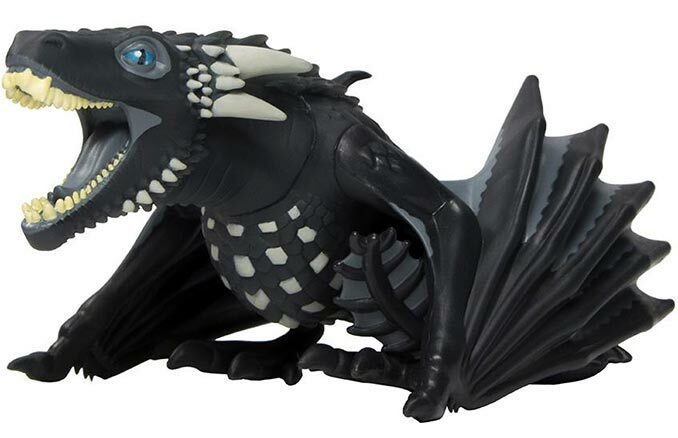 This figure is of the ice dragon, Wight Viserion. 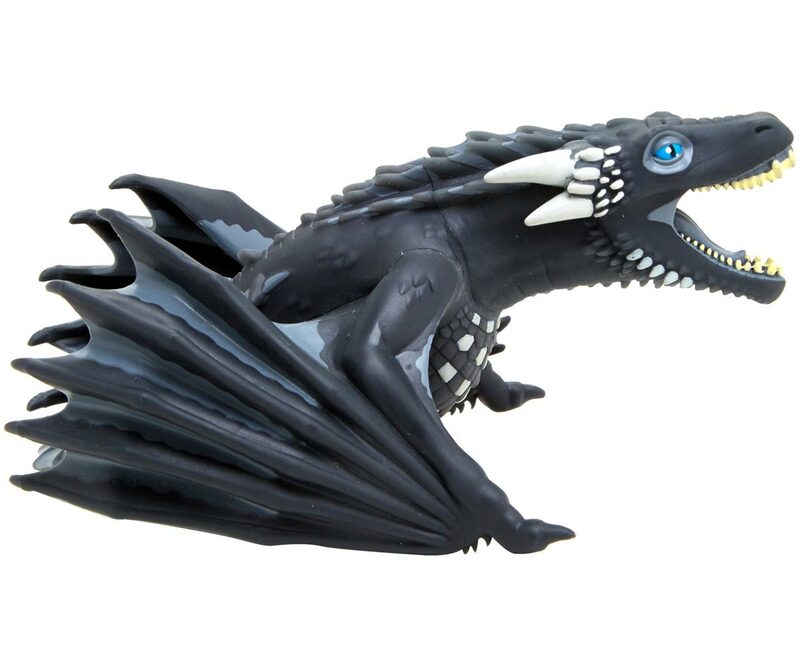 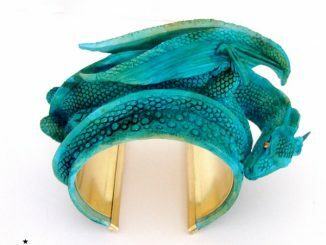 Measuring 4.5 inches, the Wight Viserion is made with impressive detail, including deep black scales, black nails and piercing blue eyes. 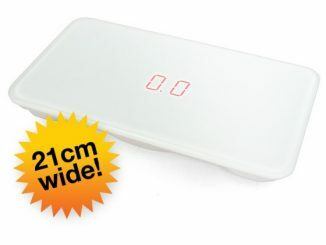 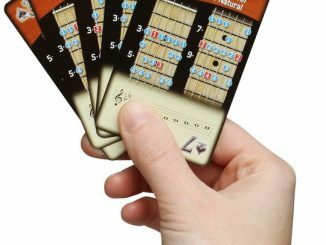 Due to limited quantities, we recommend one for your collection and one for play. 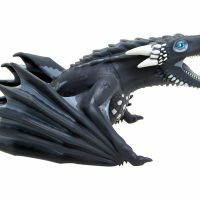 The last time we all saw Viserion in Game of Thrones he had become a dragon wight, now you can have your own mini ice dragon too! 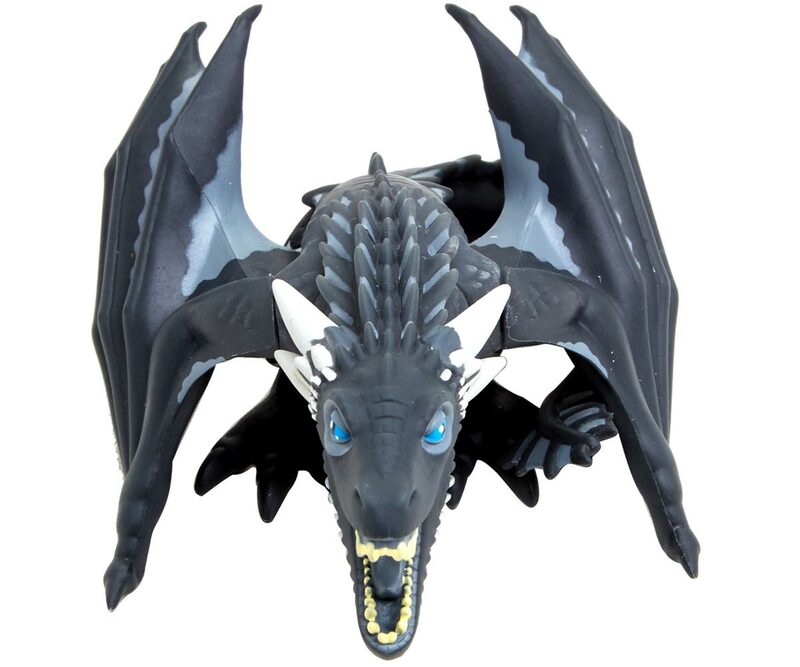 With glow in the dark accents and bright blue eyes, he’s sure to deter anyone from meddling with your collection. 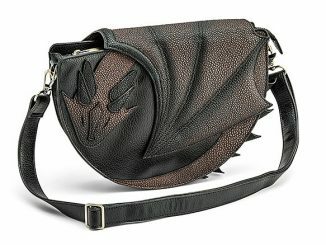 If you hurry, you can buy one of these for $15 at Hot Topic before they sell out. 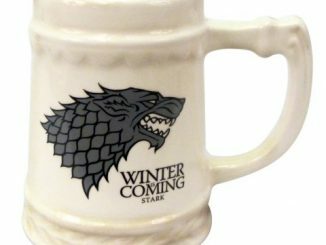 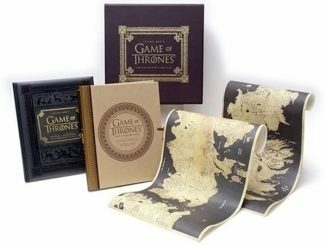 They are also currently for sale at the HBO Shop.